Nikki Parkinson always delivers an outstanding seasonal fashion workshop full of tips and style updates to see you through the months ahead. 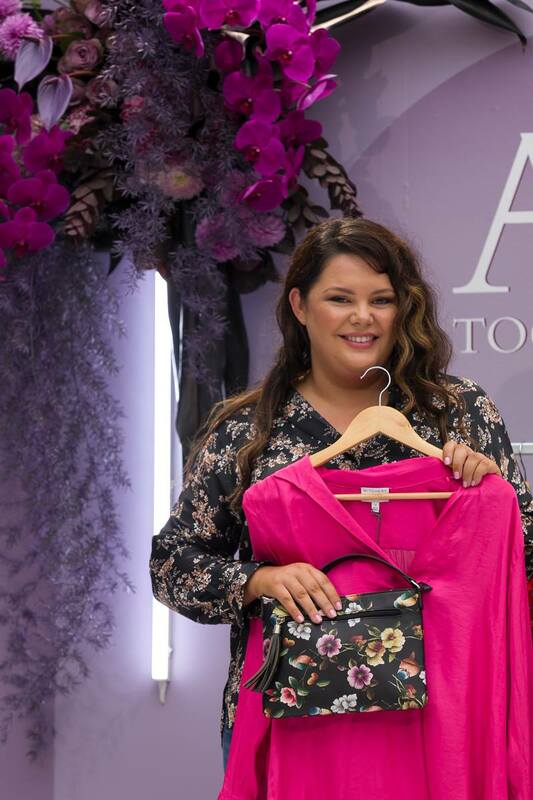 On Saturday, guests enjoyed a presentation inspired by Nikki’s edit of winter trends including leopard print, deep florals and pop colour. Modelling for Nikki once again was Stacey McGregor (@stace_mcgregs for Instagram followers). To kick things off, Nikki showed Stacey wearing a base layer of jeans and a white tank (both Sussan), switching looks between a pink bomber jacket, paprika long cardigan and (my personal favourite), a check coat and contrast print scarf (also Sussan, see below). To see the alternate looks, visit the Toowong Village Facebook page for the full image gallery. 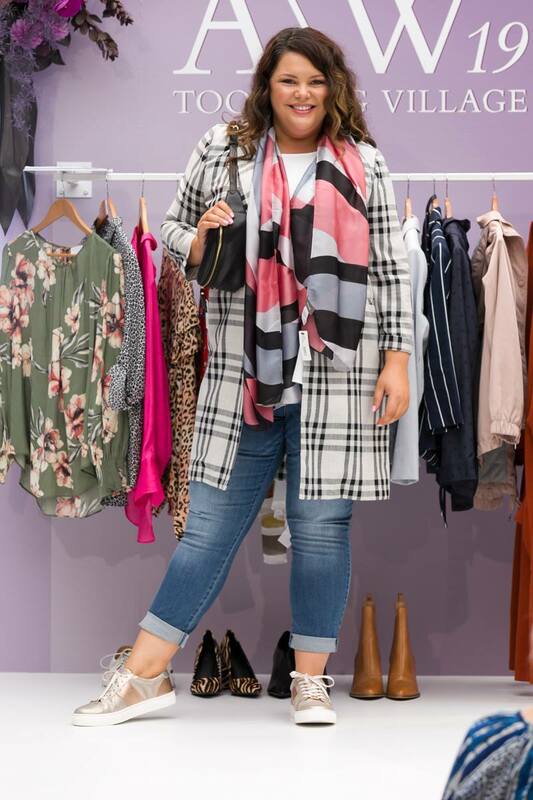 Continuing with denim as a base for a transitional autumn wardrobe, Stacey then wore a head-to-toe look from Kmart that touched on other key seasonal pieces including the check blazer and cross body bag. As I said in my workshop recap, animal print is unavoidable this winter. Nikki found these leopard print pants at Taking Shape and worked a look that was both suitable for lounge and casual. Silk is a beautiful natural fibre to wear year-round and was showcased beautifully in Nikki’s next selection, this pink dress from Oska, worn back with a scarf for an extra light layer. 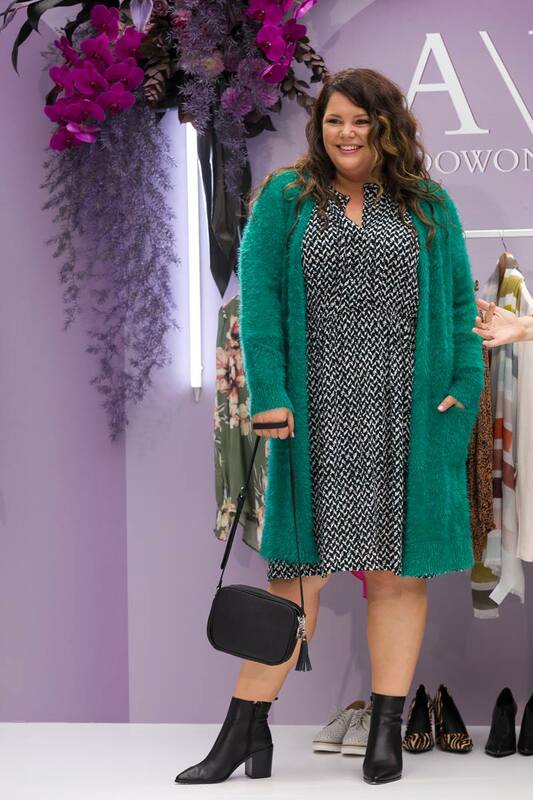 To bring some colour into winter, Nikki turned to Blue Illusion and this stunning green long-line cardigan. The dress and accessories are also Blue Illusion, with boots from Wittner. 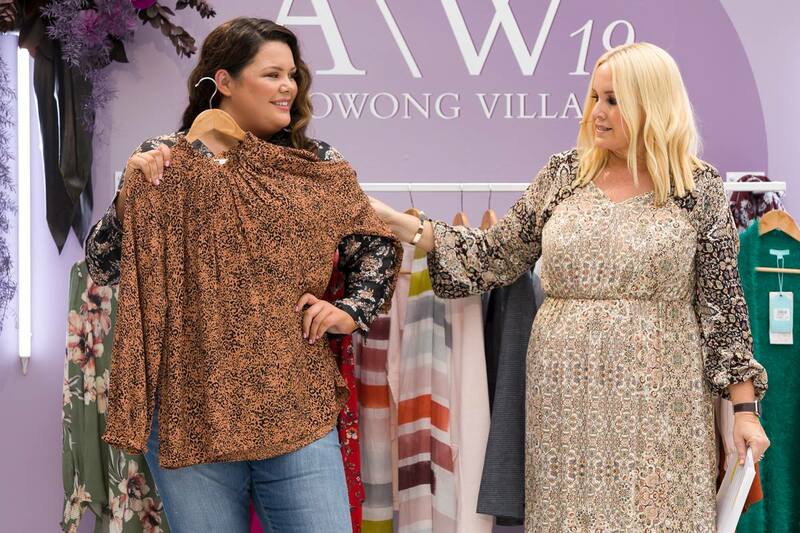 Advice on an easy go-to solution for winter wardrobing came in the form of jeans and a nice top for Nikki, who sourced a gorgeous selection of print tops from David Jones (Witchery, Country Road, Kachel and Trenery among them) and Sussan. Lastly, a gorgeous floral wrap dress from Witchery at David Jones which picks up on the trend for deeper winter florals and can be dressed up or down for any occasion. 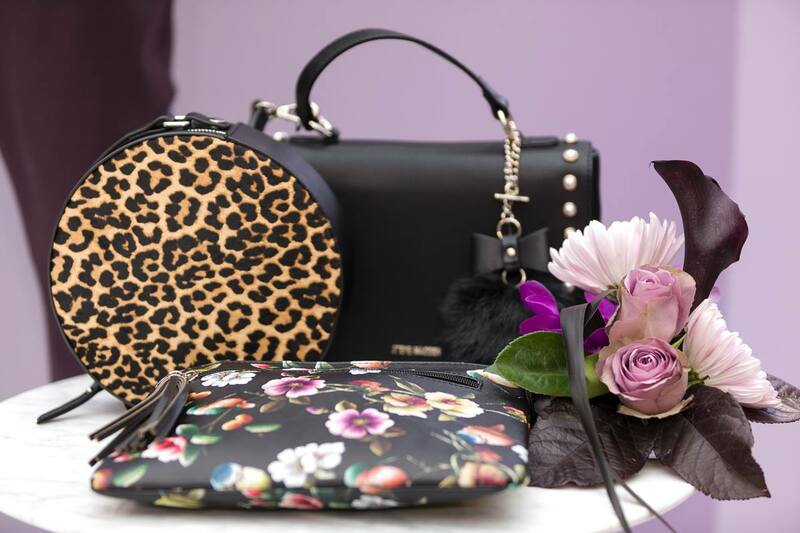 Accessories: Sussan leopard print bag, All Saints bag at David Jones, Sassy Duck floral bag at Toowong Shoe Emporium.